Follow your interests and discover the first and second floor interiors of the Main House in your own way. This self-guided experience includes access to the special exhibition in the Sharp Family Gallery. 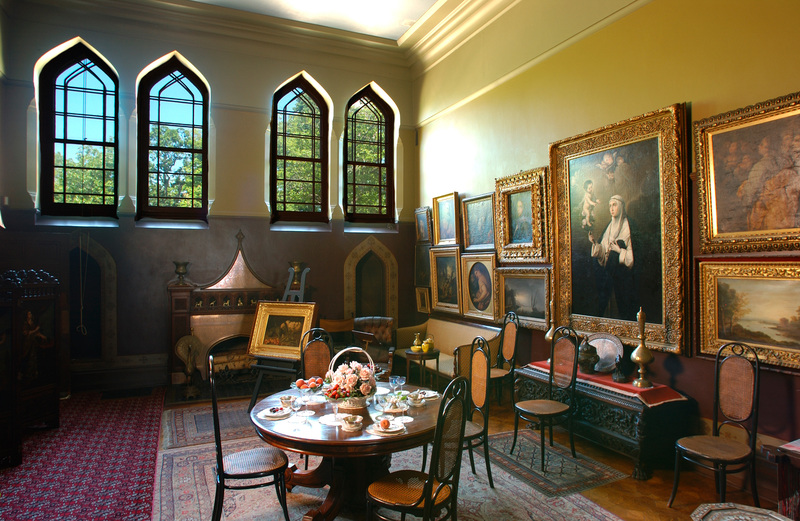 Explore all of the downstairs rooms, including the central Court Hall, Frederic Church’s Studio, and the Dining Room, then upstairs to see Frederic and Isabel Church’s private bedroom suite. Educated guides are available to discuss the surroundings and answer questions during your open exploration. This participatory experience is best paired with any of the guided Artist’s House and exterior Walking tours, as well as with the introductory film offered in the Visitor Center.